The first full day of Boston Pride 2018 was off and running, literally, as the High Heel Dash for Charity kicked off Saturday’s events. Hundreds turned out Saturday on the first full day of Boston Pride 2018 for some of the main events at the annual Pride Day at Faneuil Hall. The High Heel Dash for Charity kicked off Saturday's events with dozens of participants wearing high heels, a minimum of two inches, in a short run near Faneuil. All the entry fees went to the Boston Pride community, which supports grassroots organizations. “I was going to be here anyways, so why not just come and do it, have a good time, especially for the simple fact of giving back to Boston Pride and everything. They've been super helpful to me from a young age, so I just figured why not give it back, right?,” Crystal Famouz, who won the high heel event, said. The festivities were in full force at Faneuil, from face painting to musical acts. A rainbow flag was raised over Boston's City Hall Plaza as the city prepares to celebrate the LGBTQ community during Pride Week. “Gay pride, it’s so fun, I had an amazing time today with my friends, we’re all sober sisters, we’re in recovery and we’re just enjoying life, one day at a time,” Tinisha Lopes said. Saturday's events were emceed by necn/NBC10 Boston's Brian Shactman and Sue O'Connell. Boston Pride organizers say this week is more than just fun and festivals, it’s about reminding people that there’s more work to be done. "There is still discrimination that happens, there are still people who are the subject of violence in our community, so we need to put that message out, we need to fight that, we need to have better laws that protect everybody, so that's what we're doing, that's a big message for this year, as well,” Boston Pride president Sylvain Bruni said. Pride events continue every day this week. The parade, which is the marquee event, happens next Saturday, June 9, and could draw 600,000 spectators. Click here to see a list of Boston Pride Week events across Greater Boston. 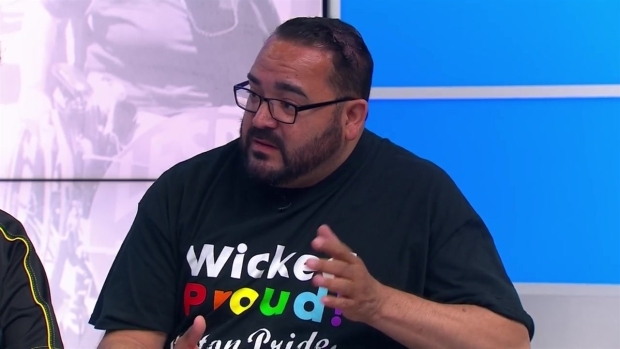 Boston Pride week has officially begun, and to celebrate Latoyia Edwards talks with two of the Boston Pride Board Members, Marco Torres and Martha Plaza to tell us about all of the events this year and what we can expect.